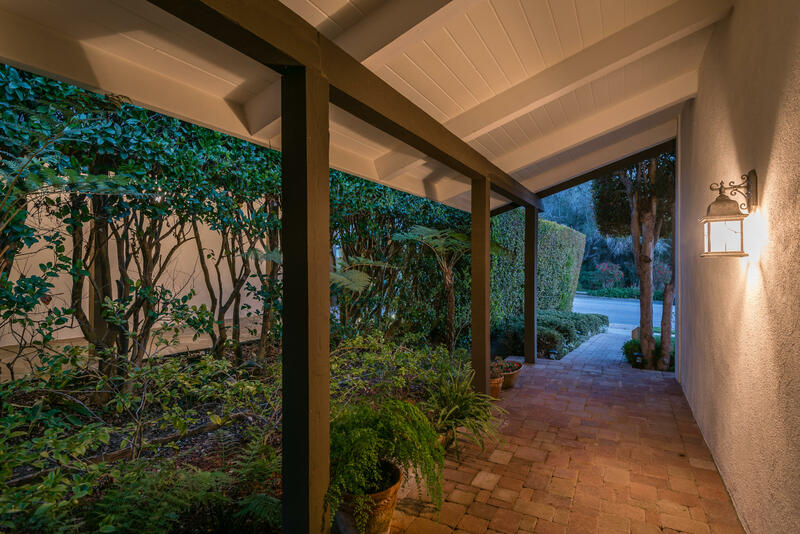 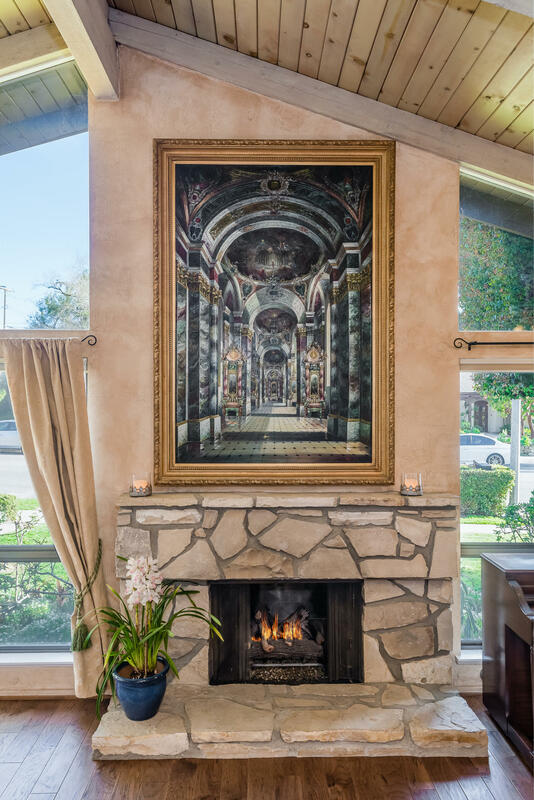 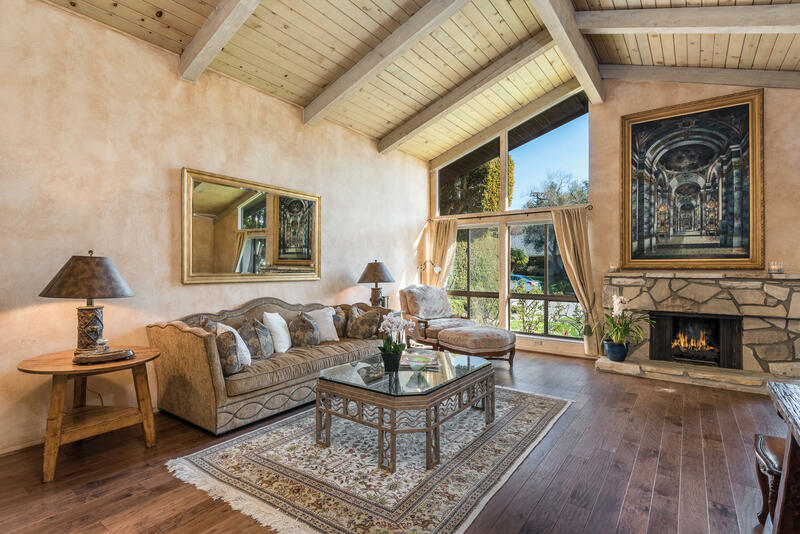 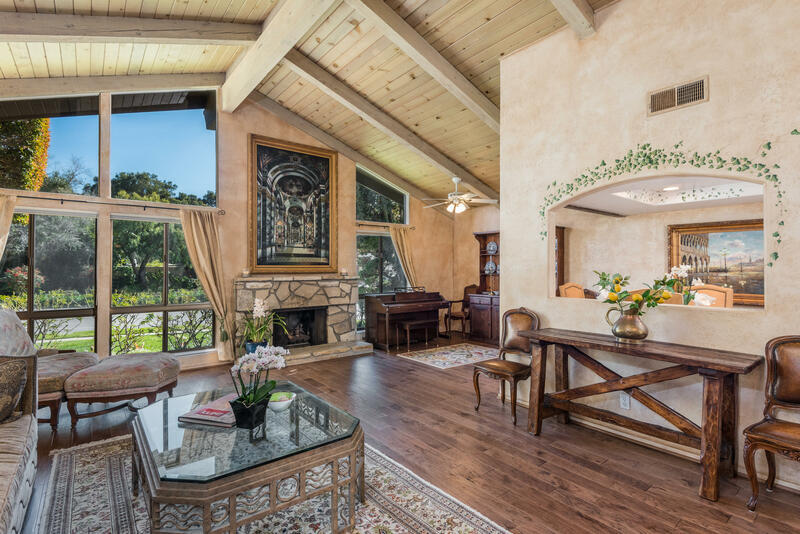 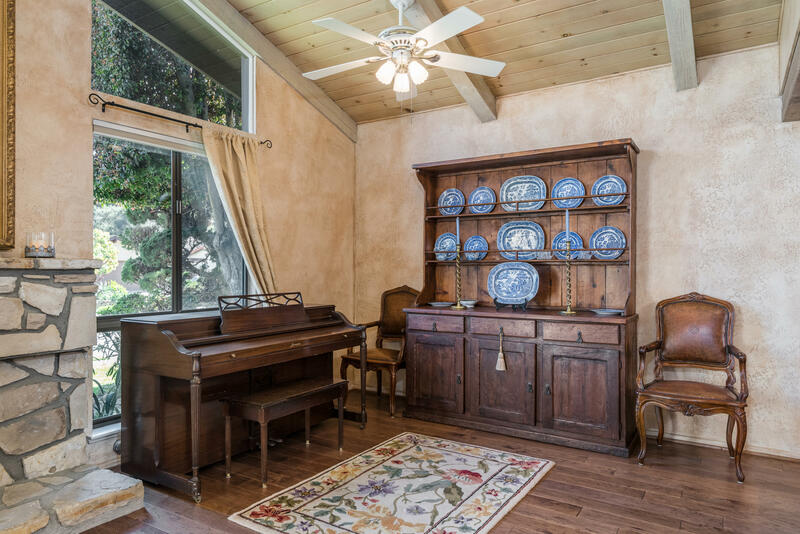 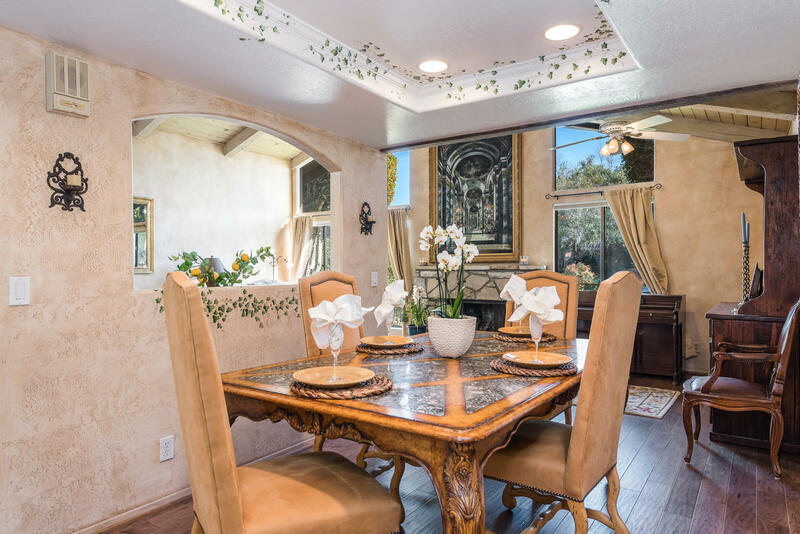 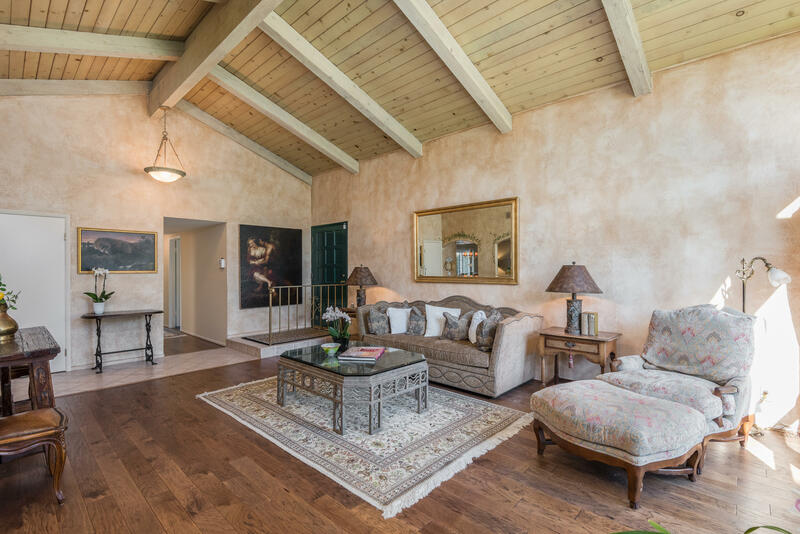 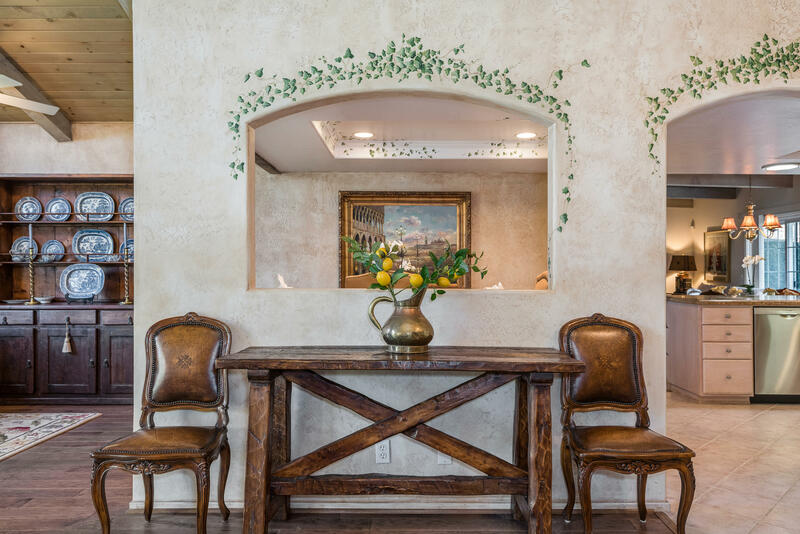 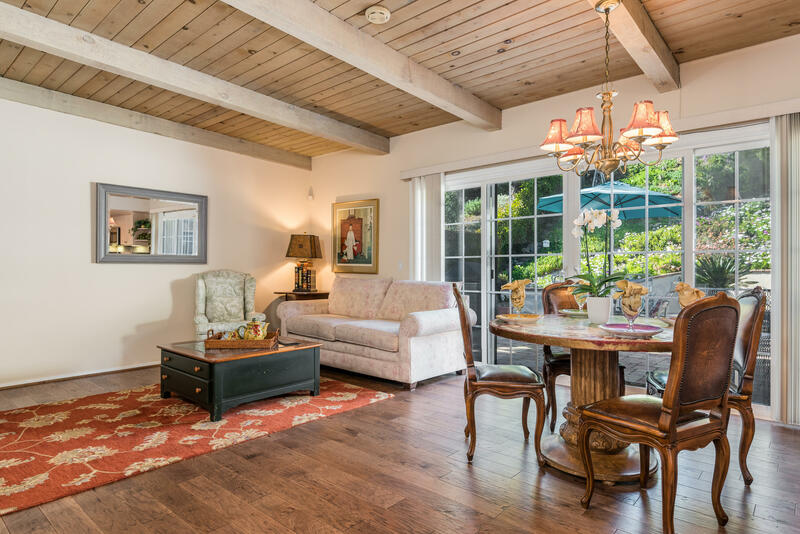 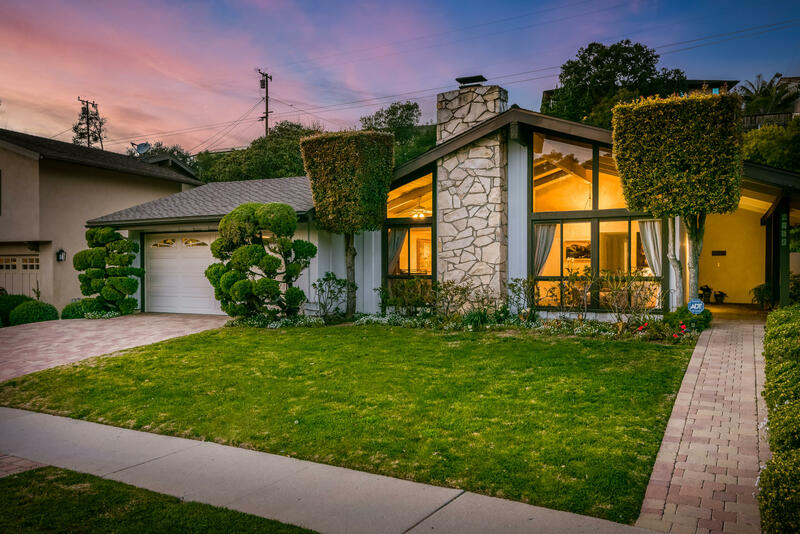 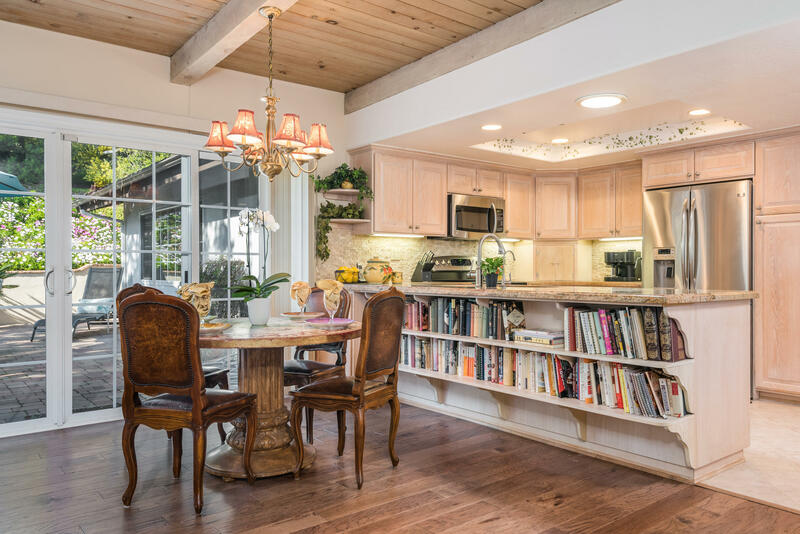 This dramatic 3 bdm 2 ba Tuscan Mediterranean-inspired home (2,057sf) w its old world plastered walls & warm wood palette, is handsomely accented w beamed wood ceilings, stone fireplace, soaring windows, arched walls, stunning wood floors and upscale chef's kitchen. 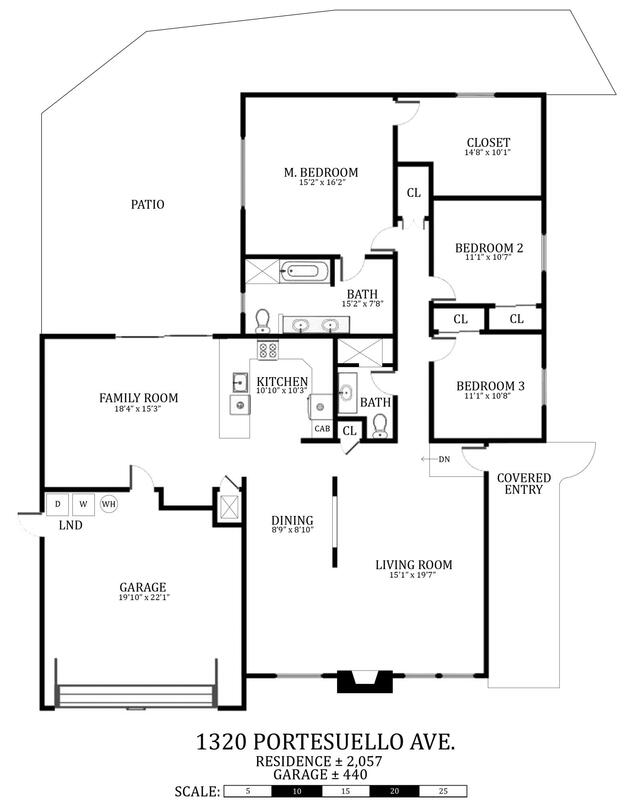 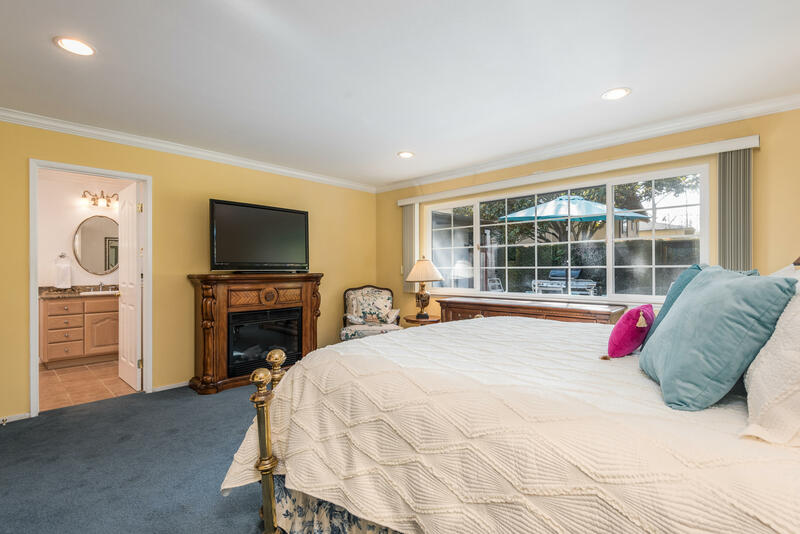 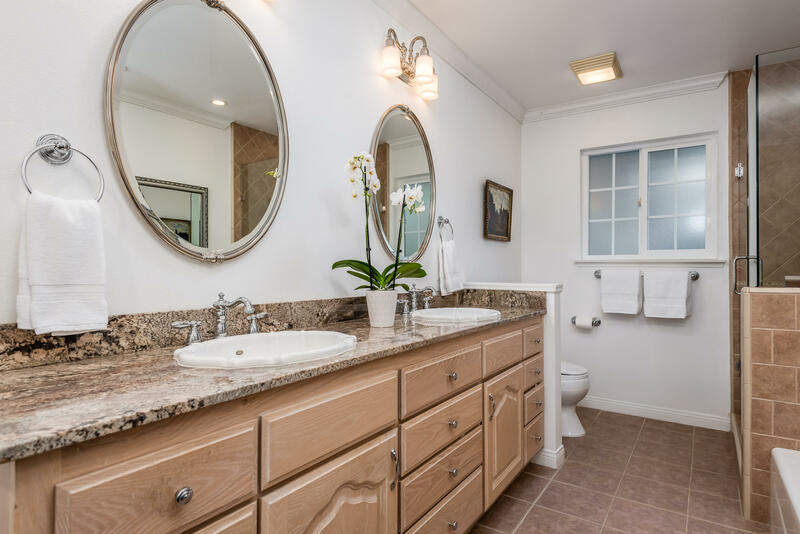 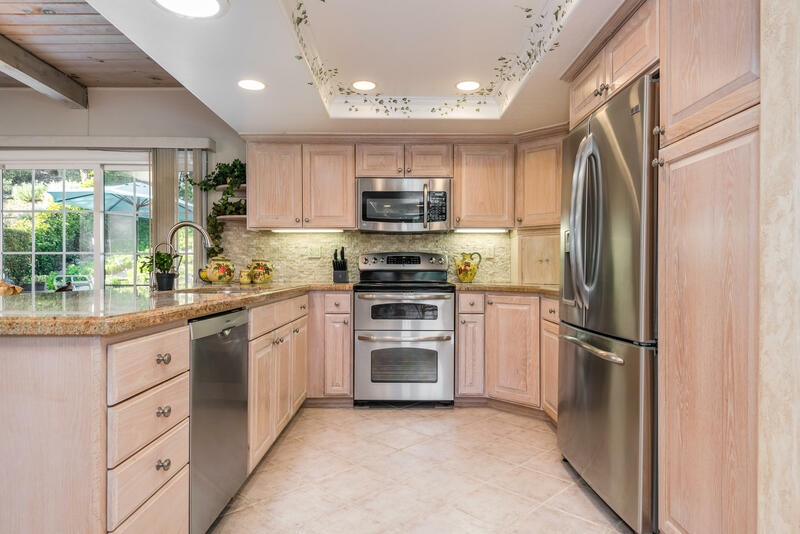 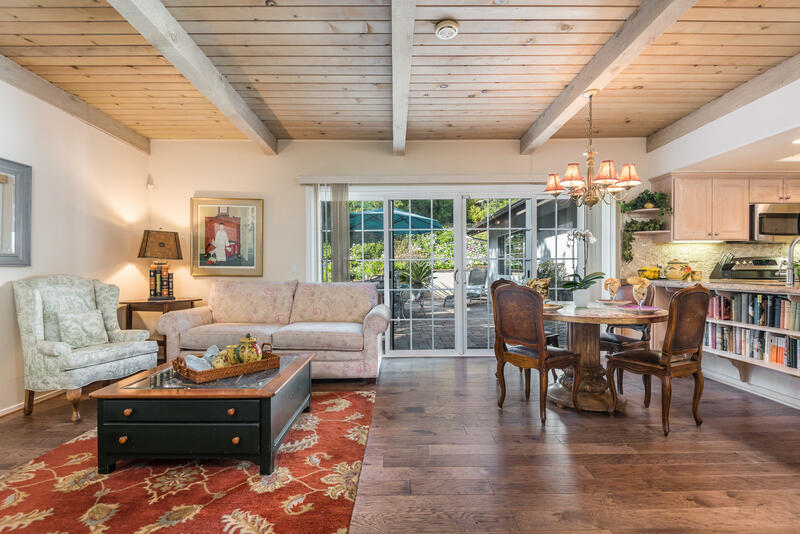 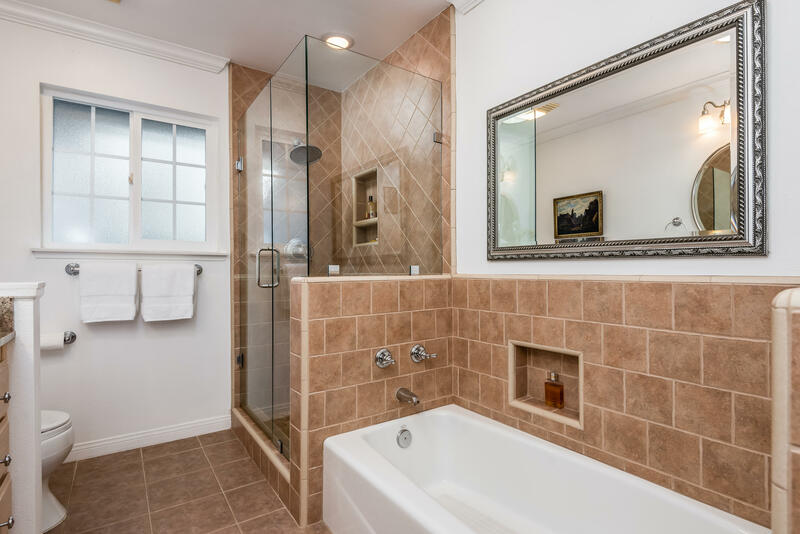 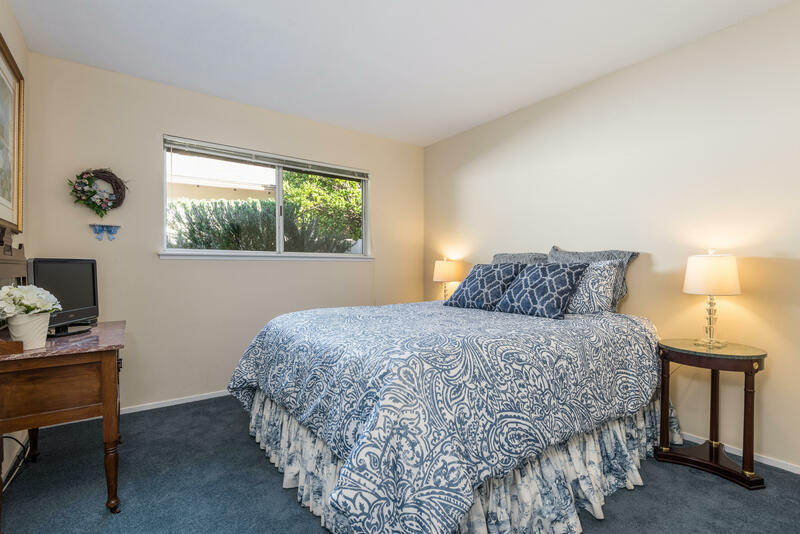 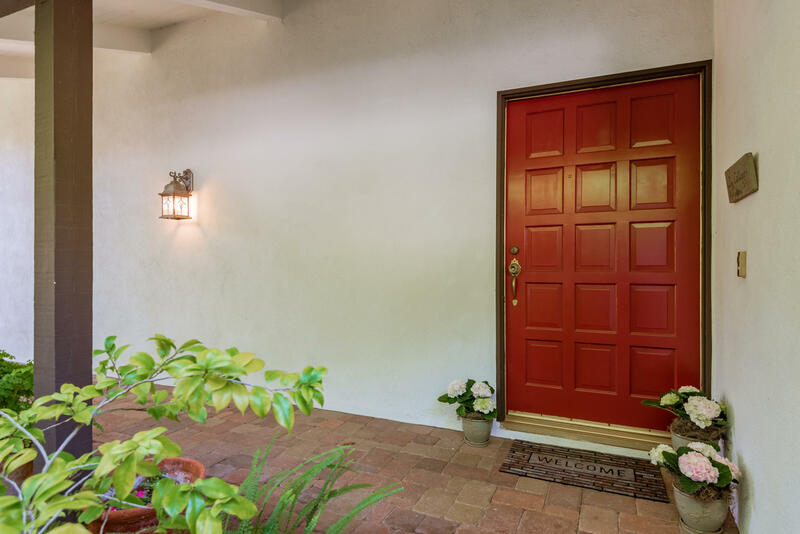 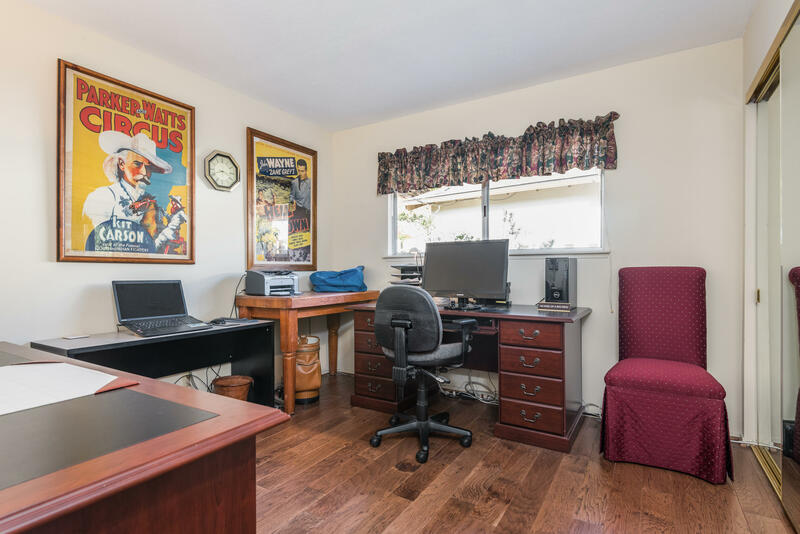 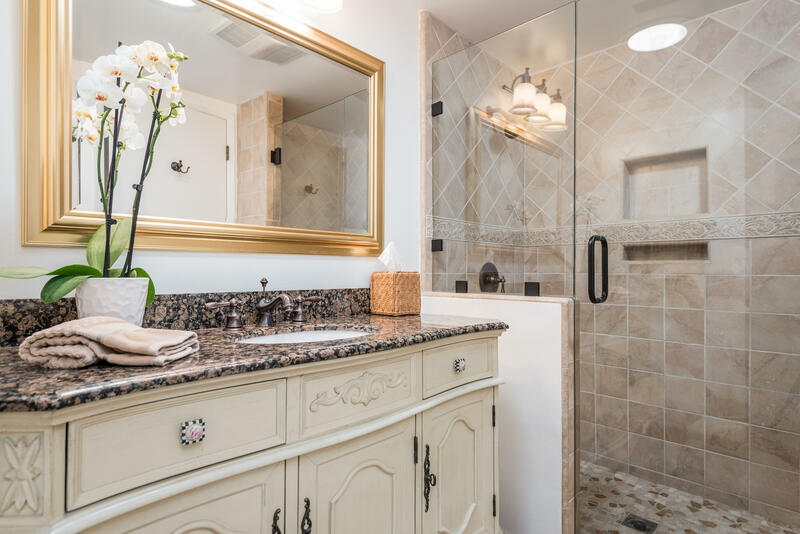 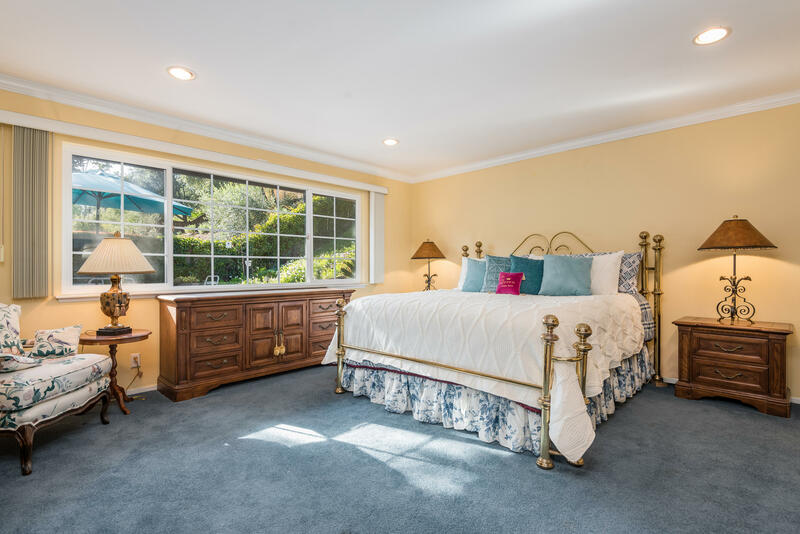 The open floor plan has been renovated w recessed lighting, AC, remodeled kitchen & baths, R/O & water softener. 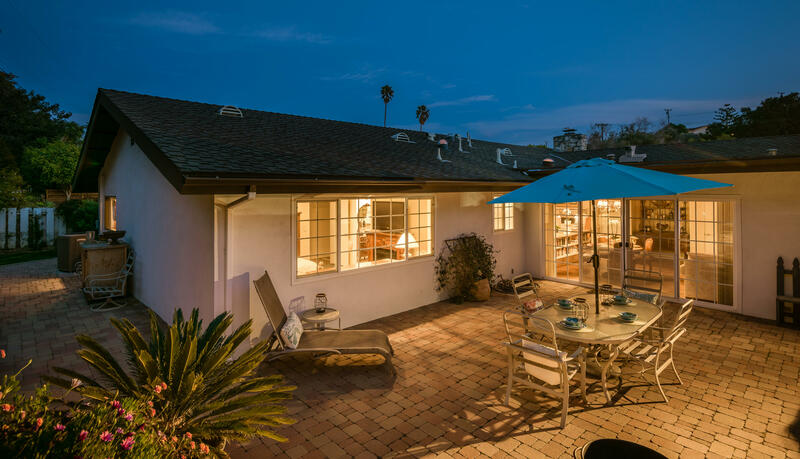 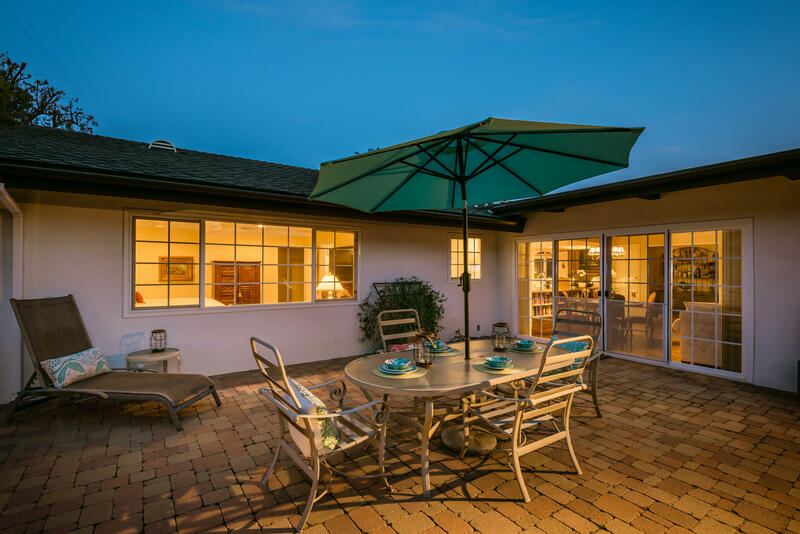 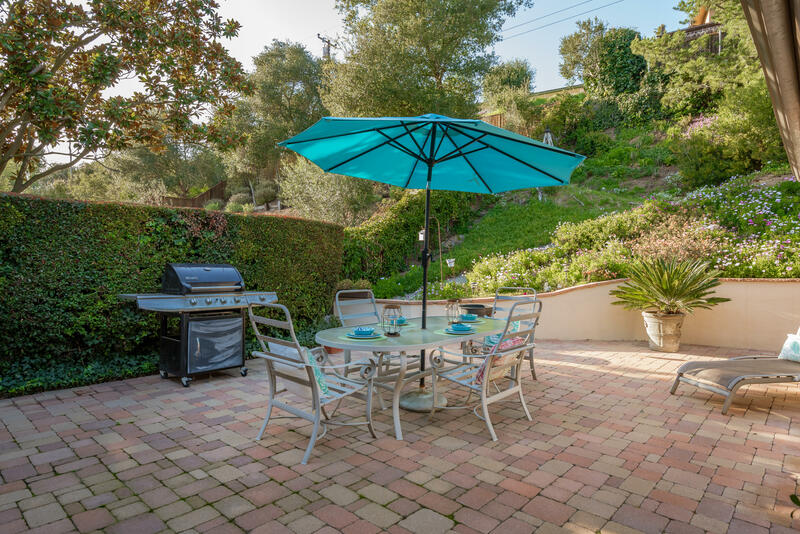 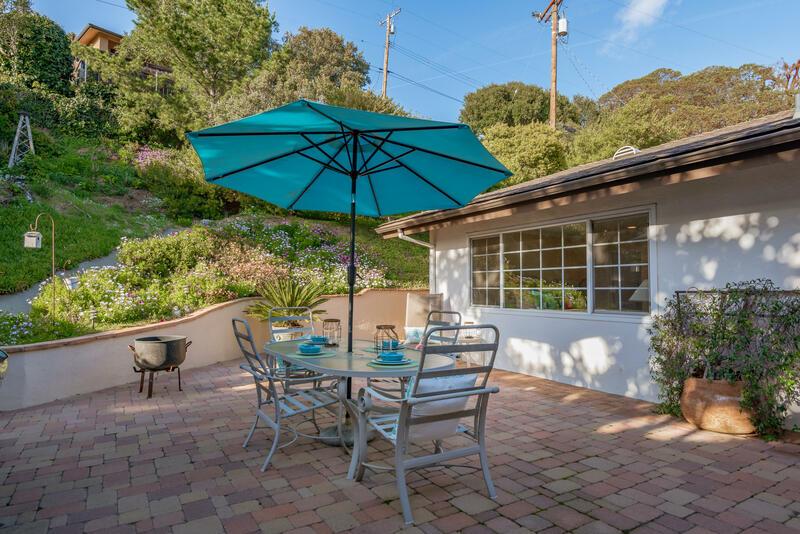 Enjoy the private fenced patio, and low maintenance landscape.